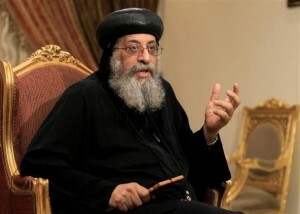 The Orthodox Church has voiced support for the role played by the Armed Forces on the current developments in Egypt. The Church hailed remarks by Defense Minister Abdel Fattah el-Sisi, in which he vowed to intervene to prevent Egypt from slipping into a dark tunnel of conflict, sedition and infighting, said a statement released by the papal office on Monday 24/6/2013. The Orthodox Church also voiced confidence in the army’s ability to shoulder these grave responsibilities in this critical stage, the statement said.